Getting ready for a 30-day Paleo Challenge. 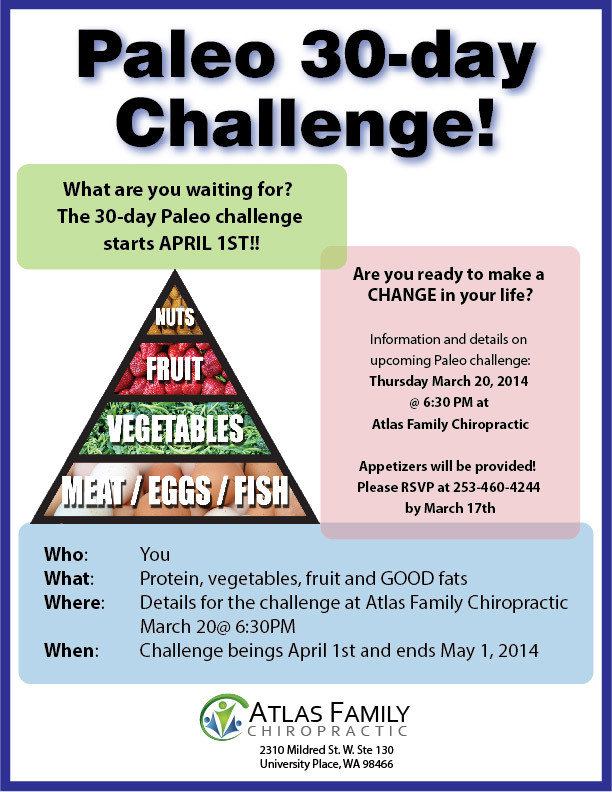 The pre-challenge workshop will be at our office on Thursday, March 20th @ 6:30 PM. This is a special challenge as we’ve teamed up with Dr. Anna Colombini (naturopathic doctor), who will be instructing on a 3-week cleanse (during the challenge) and performing before/after blood work. 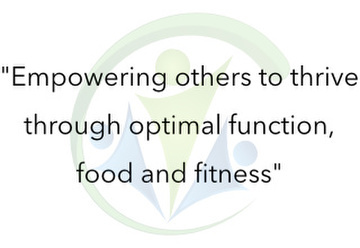 This program is for anyone looking to shed some winter weight, clean up their metabolic profile and learn how to have an anti-inflammatory lifestyle. Should be a great time!